Here T3 brings you the all the top fashion deals currently available on Amazon Prime Day 2017. 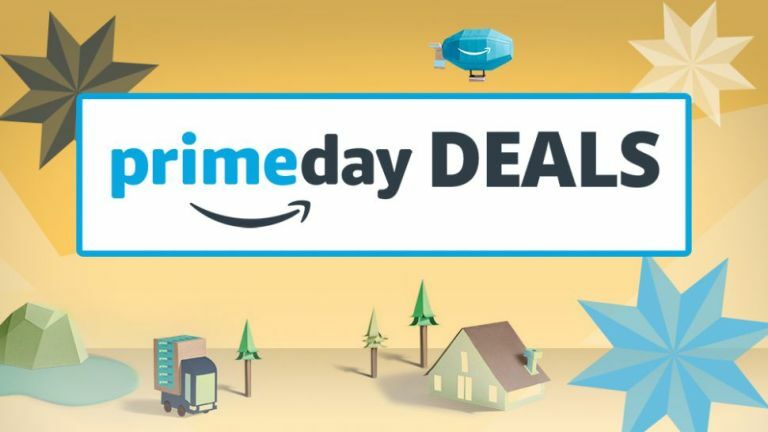 Be sure to check out the epicentre of Amazon's Prime Day deals too, which collates all the best deals in one place. Well, hello! There's currently 40% off everything in Amazon's Fashion category, with top labels such as Calvin Klein, Gant and Tommy Hilfiger included. We're big fans of each of these labels here at T3 Towers, notably Gant which we are wearing right now as we type this sentence, so if you want to look on trend and stylish this season, this is great opportunity to refresh your wardrobe. Get Fashion deals. If you’re looking for a classy piece of jewelry then the Clogau Gold Silver and 9ct Rose Gold Cariad Bangle should interest. The bangle is currently subject to a discount of £246. Yes, you read that right, the bangle is selling for £204 right now when, pre-deal it was £450. Move quick as there aren’t many. Get Clogau Bangle deal. Gift for significant other alert! Naava Women's 0.25 ct Diamond Cluster 9 ct Yellow Gold Stud Earrings for just £68.89? Yes please! Get deal now. If you are looking for a great gift then you should consider the Burt's Bees Nuts About Nature Gift Set. This three-piece set is currently down to a deal-tastic £10.97, which is a reduction of 45% from its pre-deal price of £19.99. It's basically half price and, considering the quality of Burt's Bees' products, that's a good deal in anyone's book. Get Burt's Bees Nuts About Nature Gift Set deal. Elemis Your New Skin Solution: Energise - For Blemish Prone Skin is down by 30% to £48.30, a saving of over £20. As skin creams go, this one is rather high-tech, with BIOTEC catalysing a mineral change content in the skin that revives and hydrates it. Get deal. Another top gift with a massive discount, the Carissima Gold 9ct White Gold Diamond and Blue Topaz Drop Pendant on Chain Necklace of 46cm/18" is currently only £74.90 thanks to an apocalyptic 69% discount. The pendant normally sells for £245, so that's a saving of £170! Get Carissima Gold 9ct White Gold Diamond and Blue Topaz Drop Pendant deal. The Michael Kors Women's Watch MK2249 model is discounted down to just £67.57. That's a discount of 46% from its pre-deal price of £125. We see a lot of watches here at T3 Towers, including the best for men, and the best for women, so don't mind saying that this is quite a lot of watch for your money. Get Michael Kors Women's Watch MK2249 deal.